In March this year around 200 girls were abducted in Northern Nigeria by Boko Haram militants, circumstances that caught the world’s attention. Dissatisfied by the reaction to the calamity, Obiageli Ezekwesili, a co-founder of Transparency International, launched the #BringBackOurGirls campaign which went viral on social media carrying the whole weight of the tragedy. The campaign grew in leaps and bounds capturing the attention of global leaders, who joined in the campaign. Ezekwesili was recently named one of the Most Influential Africans in 2014 by the New African Magazine as a result of this activism. The growth of Twitter has particularly escalated in Kenya, Nigeria and South Africa, with countries even engaging in Twitter wars, aptly known as ‘Tweefs’ [YouTube video]. However, many have criticized the noise that has characterized Twitter, as idle discussions. Now, on a closer inspection, things are changing in sub-Saharan Africa. Kenya is a good example of a country where the middle classes have been described as complainants who hide behind their laptops, chronically highlighting what is wrong with the country but never coming out to demonstrate or petition for change. However, things changed recently when Kilimani mums, a Facebook online group, called for a demonstration against the rising cases of violence against women in Kenya, under the banner #MyDressMyChoice. When this online campaign spilled over to the streets it attracted the attention of international media outlets such as the BBC. In fact, these ladies’ heartfelt plea to respect women has now resulted into the arrest of 100 men [YouTube] who stripped women in public because they were “indecently dressed”. This was one victorious online to offline campaign. “I think people have realized the power of social media – we can discuss real issues, rally guys behind a cause, fundraise and get stuff done,” Muthuri Kinyamu, a social media expert and a blogger in Nairobi, told IDG Connect. Kinyamu also noted that the government and the private sector brands can no longer ignore this wave of communication. “For brands – this is an opportunity to do compelling content and campaigns,” he said. Twitter can be a good avenue for addressing issues, but can also prove a tough channel for the government. On November 22nd, terrorists butchered 28 people in Mandera, the North of Kenya. As this has become the norm in Kenya, locals launched #OccupyHarambeeAve (Harambee Avenue is where the president and deputy president have their offices), to decry the deteriorating security situation. Once again, Kenyans responded to the online call and poured onto the streets to make their concerns known. At that time, President Uhuru Kenyatta was away in Abu Dhabi to watch the Formula 1 Grand Prix. To many, this showed that the President was not sensitive to what was happening in his country especially with so many pictures of him having fun circulating on social media. When the President returned, many were still not convinced that his response to the recent spate of insecurity. The President’s communication team hit back with a campaign on Twitter: #MyPresidentMyChoice. But this did not go down well and has been viewed by experts as the worst public relations move by the President. “The government needs to respond to these issues raised on social media not just on Twitter but by doing actual work. At the end of the day the key performance indicators (KPIs) are not the new followers you get but issues solved and measures taken,” Kinyamu said. There is no easy answer to all this. These trends are only going to go up as individuals, brands and public bodies start to take note of the social media channels for delivering issues and opinions. A Portland Research study on how Africa tweets, released early this year, showed that some brands are starting to respond to the conversations on Twitter. “Finally, we were very happy to see more brands and companies making use of Twitter in Africa. When we ran our initial study in 2011/2012, we found that the majority of traffic on Twitter in Africa was driven by social conversation. Now we’re seeing brands like Samsung, Adidas and Magnum using the platform to reach consumers,” Allan Kamau, head of the Nairobi office of strategic communications agency Portland, said in a Forbes article. The research also revealed that urban areas in Africa produced the highest number of interactivity on Twitter. Here lives the proverbial middle class who feed the economy by being the biggest buyers of goods and services. 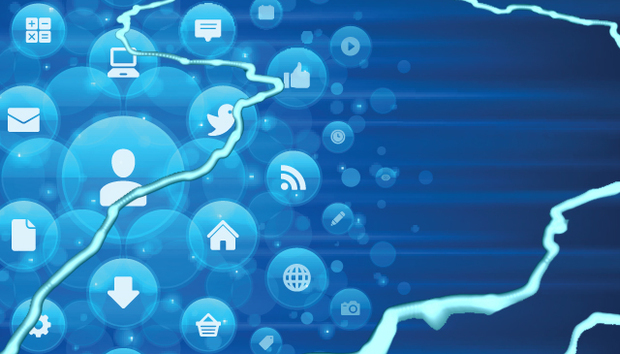 Russell Southwood, an analyst with Balancing Act, agrees that the growth of connectivity will result in the growth of social media usage across the continent. “Over five years Facebook has grown from practically no users in sub-Saharan Africa to become the most widely used social media platform,” Russell said, referring to 2013 research by Balancing Act. As we have seen in Nairobi, more and more online discussions are resulting in offline actions: a lesson that could benefit both government and private brands.